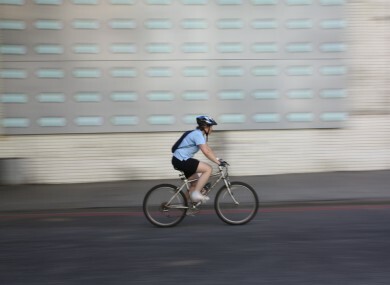 During one year at St Vincent’s, 534 cyclists presented to the Emergency Department with injuries. AS CYCLING BECOMES more popular as both a sport and method of transport, more people are presenting to hospitals with crash injuries. A new study has shown how some people have been involved in collisions or falls while trying to take photos while on a bicycle. However, these incidents made up only a small cohort of the 534 cycling-related injuries treated at St Vincent’s Hospital in 2014. A study was carried out in the hospital’s Emergency Department as there is currently very little published data on cycling injuries in Ireland. Researchers believe that official figures compiled by the Road Safety Authority (RSA) understate the prevalence of accidents – a belief borne out in the new study. According to RSA data, 1,268 cyclists were injured in 2012 and 2013. However, a figure of 534 injuries in just one hospital in the country could indicate under-reporting. The majority (45.7%) of injuries examined involved a fall from a bicycle, according to the research published by the Irish Medical Journal this week. Seventy-nine cyclists presented following a collision with a motor vehicle, while another 42 crashed into a pedestrian. A smaller number of 17 had collided with another cyclist. Of the remaining 152 injuries, a number of reasons were given including uneven surfaces, difficult weather conditions and photo-taking while cycling. Just over half of patients (266) were diagnosed with a “soft tissue injury” which did not require any follow up arrangements. However, the other half were made up of more serious diagnoses including fractures and head injuries. Two people died, while five were classified as major traumas – all of this group were aged between 45 and 61. One of the most common injuries was a fracture of an upper limb (119 clavicle, shoulder, elbow, arm, wrist or hand breaks). There were also 19 lower limb breaks, including six femur breaks, five knee injuries, four ankle fractures and four tibia breaks. The hospital also treated one pelvis injury, 13 facial fractures and seven spine problems. Forty of the patients were admitted to hospital, with six taken to intensive care. Two patients under the age of 14 were transferred directly to Our Lady’s Children’s Hospital, Crumlin and one patient went directly to the National Spinal Unit. The researchers noted that the RSA does not include hospital statistics in their data collection about bicycle collisions. They found that if they were to “include all the hospital data in Ireland, the total of cycling injuries presenting to Irish hospitals would be much higher than current RSA data trends suggest”. They believe that a number of collisions that do not involve a motor car are not reported, and therefore not included in statistics. “Cycling is now a very popular means of transport and exercise activity in Ireland and using hospital based data, it is possible that EDs may provide a vector for guiding injury preventing strategies in the future,” they concluded. So far this year, four cyclists have been killed on Irish roads. Email “Cyclists presenting to Emergency Departments after crashing while taking photos”. Feedback on “Cyclists presenting to Emergency Departments after crashing while taking photos”.